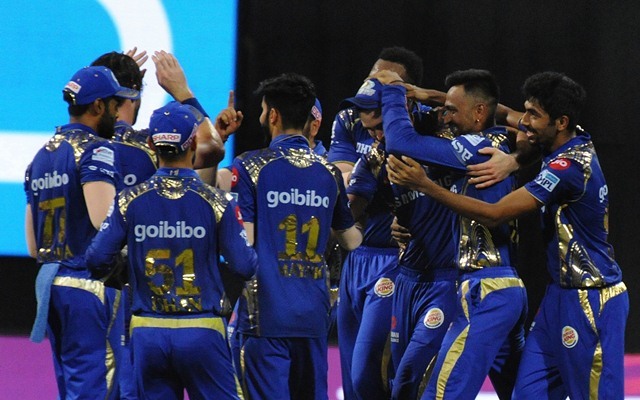 The Indian Premier League (IPL) is yet to begin but the Mumbai Indians (MI) campaign has already been hampered with an injury. Kiwi pacer Adam Milne has reportedly pulled out of the IPL owing to a swollen heel. With the World Cup in sight, no pacer will be willing to take any risk by aggravating an injury. Earlier, Lasith Malinga opted out of the first six games in order to take part in Sri Lanka’s 50 over domestic tournament. The Sri Lankan Cricket has deemed participation necessary in order to be considered for World Cup selection. Mumbai Indians only have one overseas specialist pacer, Mitchell McClenaghan in their setup now. According to ESPN Cricinfo, there have been reports of Alzarri Joseph joining the bowling ranks. Since Milne was purchased for his base price of 75 lakhs, no other bowler fits the bracket better than him. The Mumbai franchise is liable to sign a second replacement apart from depending upon Malinga’s availability for the rest of the season. The right-arm Windies pacer displayed some exceptional form in the England series. After troubling them with the ball in the Test matches, he also took a five-wicket haul at Kennington Oval in London. The 22-year-old will be an ideal replacement for the Kiwi right arm pacer. Mumbai already has No.1 ranked ODI bowler Jasprit Bumrah to lead the pace attack. McClenaghan may partner him in all probability. There is Barinder Sran as well while all-rounders Hardik Pandya and Ben Cutting can also contribute with the ball. Jason Behrendorff is expected to join the squad later as he is busy serving international commitments in the ongoing Australian tour of UAE. Even Chennai Super Kings have been hit with an injury to their leading pacer Lungi Ngidi. The Protean pacer handled the fast bowling mantle for the defending champions last year. He suffered a left side strain in the fifth ODI against Sri Lanka.